For spotlessly clean doubles with attached bath (hot & cold) , Sea Pearl is a good choice. It has the reputation of having one of the cleanest kitchen. 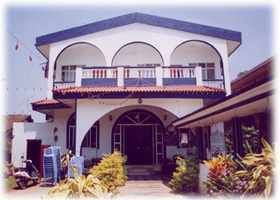 It is situated at a walk able distance from the beach.